This interactive series brings key Bible stories and characters to life for young children. Each story features engaging illustrations to which young readers can add reusable easy-peel stickers. Ages 4-7. 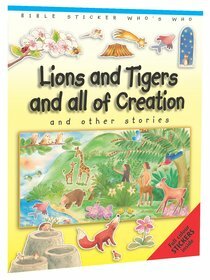 About "Lions and Tigers and All of Creation (#04 in Bible Sticker Who's Who Series)"